- An elegant symbol representing the boundless nature of infinity, without beginning or end. It is sometimes called a "lemniscate", and you find it in certain tarot cards. These tiny stud earrings measure less than 3/8" across. 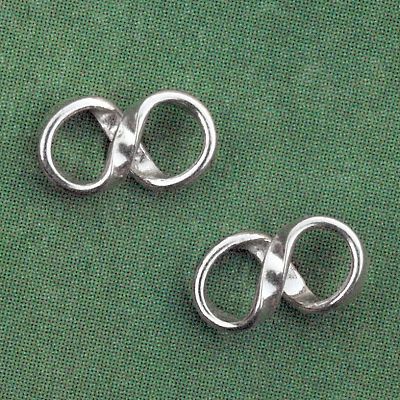 Do you have any other questions about our Silver Infinity Sign Stud Earrings?